Tourism Minister Azmeera Chandulal at a press meet on Global Water Security Conference on Wednesday at Secretariat. 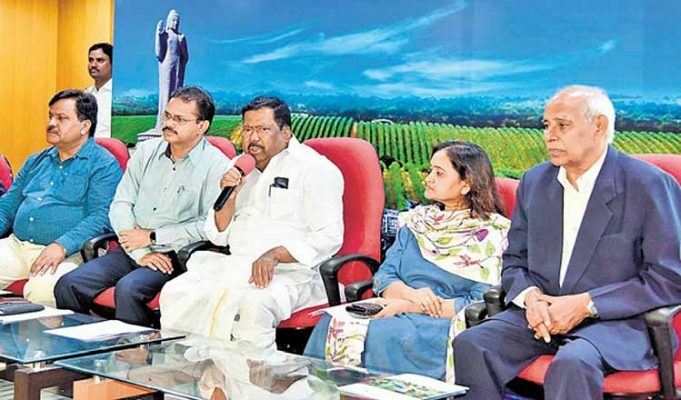 Hyderabad: Hyderabad is going to host another international event ‘Global Water Security Conference’ for agriculture and natural resources from October 3 to 6, Tourism and Culture Minister Azmeera Chandulal said here on Wednesday. Disclosing the details of the event at Secretariat during a press conference along with the Tourism Secretary B Venkatesham, the Minister said the conference will focus on security for producing food, fiber and energy crops as well as maintenance of water quality and quantity needed for ecosystem health and services. 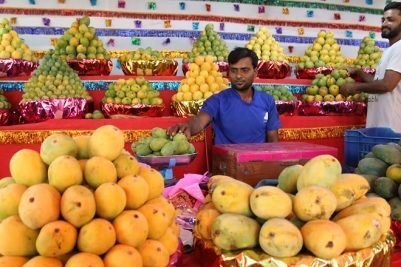 “The event will bring together a variety of stakeholders including researchers, farmers and policymakers to discuss creative solutions that can be applied at regionally appropriate scales,” Chandulal said, adding that global experts from all five continents with more than 200 speakers from eighteen different countries will take part in the event. The Minister said the global conference will be useful in tackling water crisis for both agricultural and human needs. The meeting will be held with the support of Indian Society of Agriculture Engineers (ISAE) and American Society of Agriculture and Biological Engineers (ASABE). He said the meeting will also discuss possible methods for judicious utilisation of water, increasing production in agriculture and protection of natural resources. 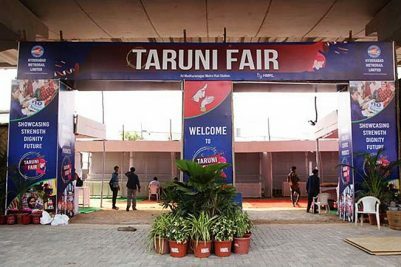 Chandulal said that on the behalf of the State government, all necessary arrangements will be made for the event, “I am hopeful that the event will become a road map for the future for sustaining human well-being”, the Minister said.